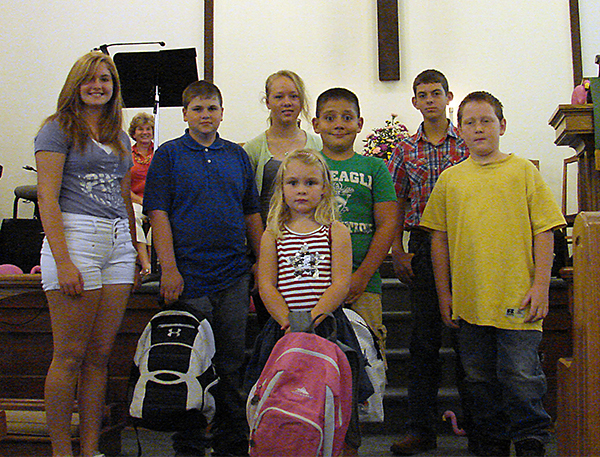 Students who worship at Richmond United Methodist Church (Ohio Valley District) returned to their classrooms for the 2014-2015 school year with backpacks blessed during a special ceremony led by Pastor Carol Smith. The “Blessing of the Backpacks” service held Aug. 24 during both Sunday services was occasion for students to bring their backpacks, totes that will carry items needed for them to learn, organize assignments and complete homework and projects. But the backpacks also symbolize all of the work that will be required throughout the coming year, Pastor Carol explained to the estimated 30 students who participated. “While some days your backpacks will be light, on other days your backpacks may feel very heavy,” she told them, assuring them that God is with them throughout. 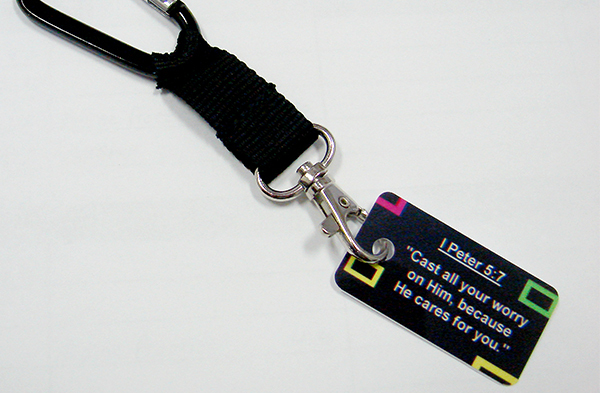 Each student was presented with a carabiner with a Scripture verse tag to attach to their backpack. Prayer was offered for the students, their teachers and school administrators for the 2014-2015 school year during the special service organized by the church’s Worship Committee. 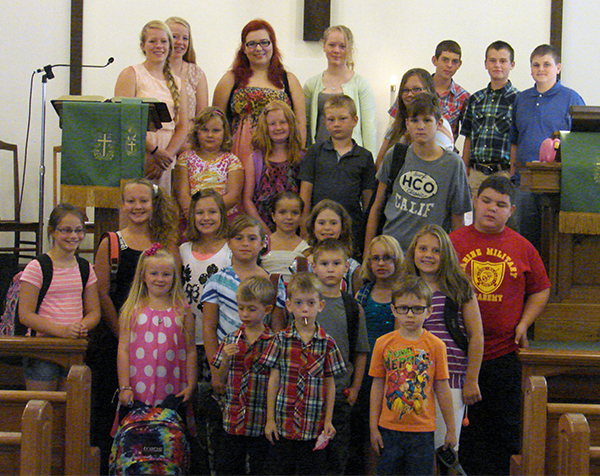 The “Blessing of the Backpacks” was part of the annual Youth Sunday Service where youth, who participated in the annual mission trip, led the service and shared their experiences. Next postEpworth SOWER Work Mission Season: 298 participants, 70 projects, 8,000 work hours – Amazing!